The past three nights experienced on and off again clouds. They also experienced an undeniable rise in Orionid (ORI) activity. Half of all the meteors from the last two nights were Orionids. Rates should increase as the shower peaks tonight or tomorrow. 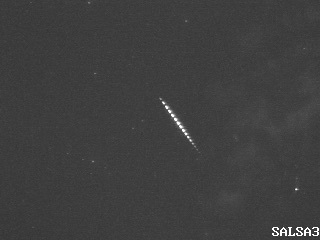 A nice Orionid (see picture) was seen on October 19 at 07:39 UT over Tucson.